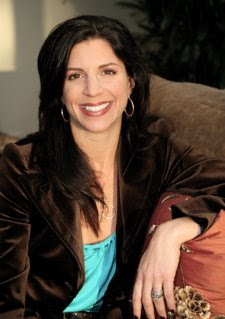 Sally Horchow is a lifestyle expert, journalist, on-air personality, celebrated L.A. hostess, and co-author (with her father, Roger Horchow) of The Art of Friendship: 70 Simple Rules for Making Meaningful Connections (St. Martin's Press, 2006). Sally is a blogger on the Huffington Post, and she regularly contributes her original, witty point-of-view on all lifestyle trends-from entertaining, food, and travel to design, fashion, and art-to publications like The New York Times, Town & Country, and DailyCandy.com, and she has appeared as both guest and host on multiple national television and radio shows - from NBC's "Today" to "Tyra" to E!Entertainment Television. Sally served as the national spokesperson for Pepperidge Farm and their "Connecting Through Cookies" campaign, a marketing and advertising initiative spanning web, print, and television. Prior to her print and on-air career, Sally built her expertise in many aspects of the entertainment and media industries. She worked at "Late Night with Conan O'Brien," was the executive assistant to Steven Spielberg, produced an independent film, and was an event planner, website producer, and interior designer. Sally is also the creator and director of hiving™ :: party with a purpose - a social group in Los Angeles and on the web (www.hiving.net) dedicated to inventive outings that both inspire connections and contribute to different charities. Sally has orchestrated such events as a Craft Night, an Indian Cooking Class, and a Séance, and has raised thousands of dollars for charities like the Vijay Amritraj Foundation, ArtShare, and Feed the Children. Sally grew up in Dallas, Texas, and received her B.A. from Yale University. She lives in Los Angeles with her husband, Christopher McCauley, and two Labradors, Annie and Maggie Mae.